Whatever your age or current position on the economic ladder, there are ways you can invest in your future. Along with career or job training, investments also involve purchasing property, securities, futures, and other assets that appreciate as the years pass. If you are wondering why people invest in their future by acquiring assets, consider these reasons. At least a few of them are bound to apply to you and provide motivation to begin saving and investing today. Investing is like anything in life. You may start a little slow and then gain momentum as your knowledge and skill increase. When it comes to your future, it pays to begin acquiring assets that are considered to be low in volatility. All this means is that there is not a lot of risk involved with owning those assets. Keep in mind investments with less risk do produce more modest returns. That’s not a problem. In the early stages, your goal is to secure assets that perform at a consistent level no matter which direction the economy should go. Even in recessions, they should continue to generate a small amount of returns. The day will come when you begin to add other investments that come with a higher rate of volatility. You will be able to do so because there is always that foundation of predictable and secure assets to provide a cushion. As you become more proficient in investing strategies, you will want to diversify. This is another way of saying you will broaden the types of assets you own. You do this as a way to protect your financial wealth and to increase the amount of returns those assets generate. Different types of assets are heavily influenced by what is happening in the economy and in the market. Some assets are even impacted by changes in government leadership or natural disasters. As you become more familiar with stocks, bonds, real estate holdings, futures, and other investment options, there is the opportunity to include a little of everything in your portfolio. Along with being a lot of fun to learn, this approach insulates you from market fluctuations. If some of your assets are adversely affected because of certain events, there’s a good chance other assets will be increasing in value. No one is guaranteed tomorrow or that things will remain the same. As many people who entered the workforce in late 1970‘s and beyond can attest, a number of industries that once thrived no longer exist. People with skill sets that applied equally well in other lines of work managed to keep going. Others basically had to start over and learn new sets of skills. Even today, there are industries in decline while others are growing. What would happen if your industry downsized to the point that you could no longer find work? How would you manage financially as you retrained for a new career? If you have investments that pay dividends on a regular basis, you won’t have to worry about putting food on the table while you prepare for a new career. 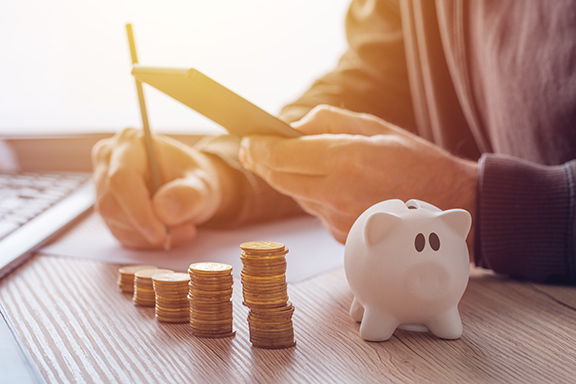 The resources will be there in the form of those dividends, interest income from savings, and even the interest you can withdraw when it’s time to renew a certificate of deposit for another term. That freedom from financial worry will make it all the easier to concentrate on your studies and look forward to your future once more. What short and long-term goals do you have for your life? Many people dream of owning homes, buying nice cars to get around, and being able to take a vacation now and then without going in debt. Some hope to set aside money for the kids to go to college. Many seek to accumulate wealth that will allow them to live comfortably after retiring. You get to set your goals. Once you have them in place, it’s time to start working toward achieving them. Once of the best ways you create financial resources necessary to reach those goals is by investing. From pension plans to savings accounts to an investment portfolio, you have the opportunity to build wealth. Doing so ensures you do attain each of your goals and enjoy your life to the fullest. While much of the focus is on being financially comfortable here and now, you also want to provide for your loved ones. That means ensuring there is money on hand to take care of your final expenses plus provide a nest egg that keeps them financially secure. Everything from the balance in a savings account to insurance to your collection of investments contribute to that cause. Even after you pass away, your efforts continue to take care of those you love the most. Investing is not just for those who begin life as part of a wealthy family. While your first efforts may be modest, they set the stage for becoming a little more financially secure every year. Even if you’ve been through some rough times and think you are too old to start over, put that thought out of your mind. With a little diligence, your financial outlook can be very different five year from now.